I have a confession to make. I LOVE fried food. Just think chicken wings, French fries and the overbearing aroma, it is not an overstatement to say that fried food = happy me. I would probably be happy to eat it every day, if frying doesn't come with the oil splatters, oil wastage, risk of burns, lingering smell and cleaning mess. Most importantly, if the fat grams and calories can be eliminated from the equation, that would be a dream more true. Now that Angel is turning four and though she is not a choosy eater, she has shown her love for some food over others. Not surprisingly, she absolutely loves fries and anything crispy, even fried shallots and fish skin. 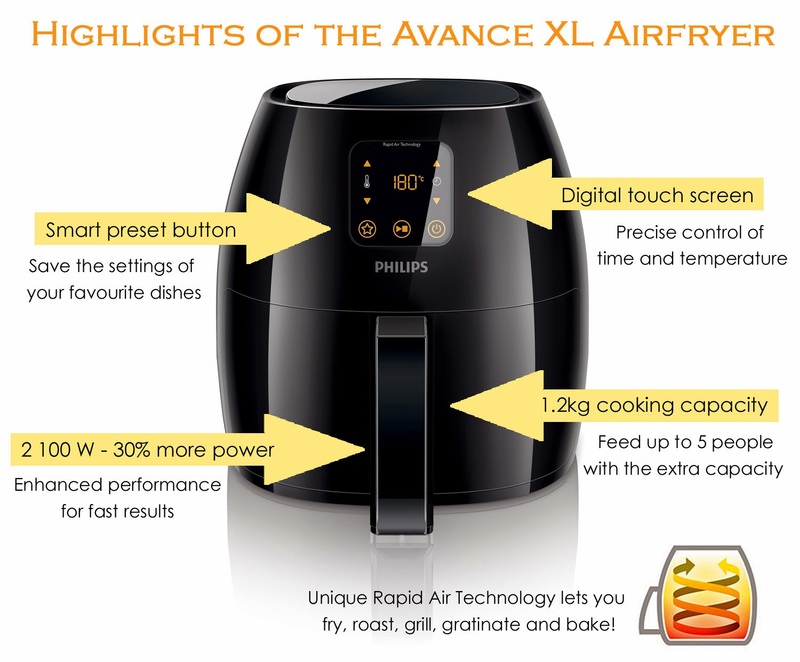 Just when I was starting to worry that she might be embarking on an unhealthy diet, I was introduced to the Philips Avance XL Airfryer, which I must say, is a magic machine. When the product first arrived, my in-laws saw it and commented "Ah, fryer. We see before, must put a lot of oil inside this compartment then can fry." Well, they couldn't be further away from the truth. The airfryer uses a unique patented combination of high-speed air circulation with a top grill element called Rapid Air technology. This technology makes the hot air circulate very rapidly around the ingredients in the basket and heats up the ingredients from all sides simultaneously. 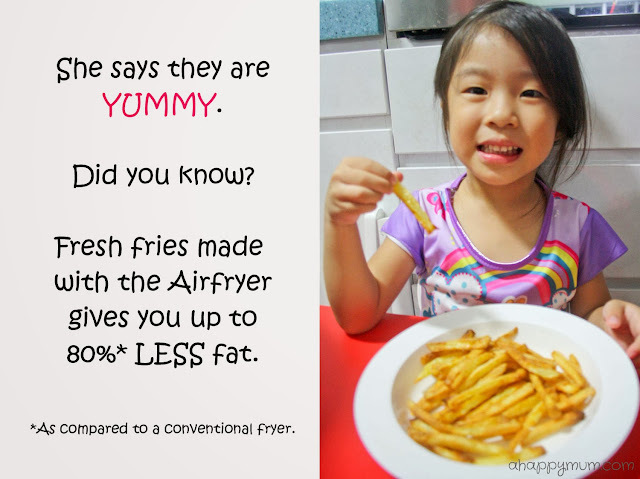 In other words, you are using air to fry! 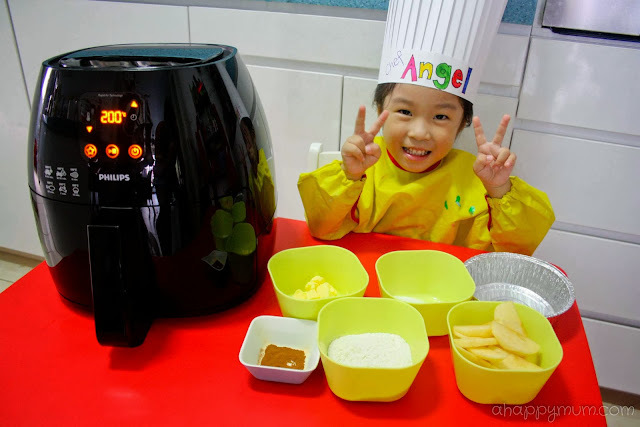 If you already have an airfryer at home and not sure if you should invest in the new Avance XL Airfryer, let me show you some highlights of this improved multicooker. If you do not own an airfryer or if you are a noob cook and not sure if you are up to it, coming from a not-so-domestic-goddess, I assure you that the airfryer is definitely a healthy, fast and easy way to cook. What's more, with the 50% increase in capacity, believe it or not, you can even roast one whole chicken in a go! In fact, it is so easy that my girl decided to take up the role of the chef and demonstrate what she can whip up in just minutes. 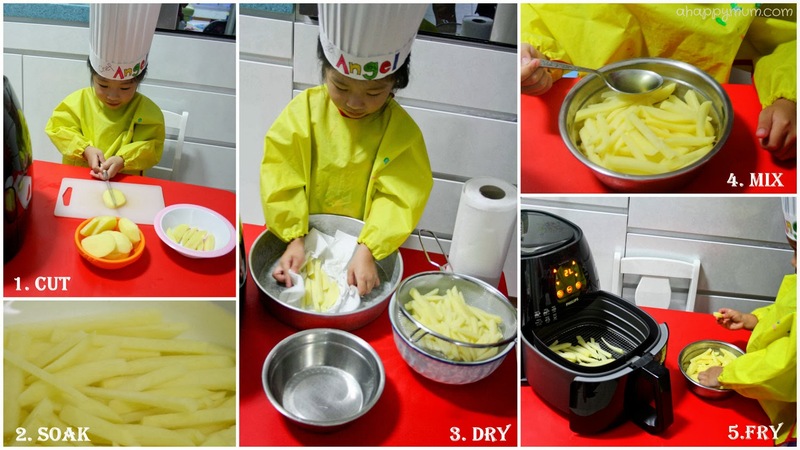 The first food we decided to make was, of course, French Fries! You can imagine the look of thrill on her face when I said we were going to have homemade fries. Plus, when I added that she was going to make her own fries, she couldn't wait to begin. Did I give her a real knife to cut? Why yes, I did, under my supervision. Did she do everything herself? Other than peeling the potatoes and making sure she sliced them evenly, yes, she did 90% of the work. Did we have to use any oil? Yes, just 1/2 a tbsp. This is for freshly made fries. If you are using frozen ones, they are normally pre-cooked in oil. In fact, the addition of oil is optional and up to your taste preference. Just think about it, a few drops of oil or no oil in an airfryer as compared to a basket of oil in a deep fryer, I would say it is a healthier and more economical choice. Did the fries turn out crispy? Yes, *phew* we don't like soggy fries. Now, this is the kind of fries I don't mind her having every other day. 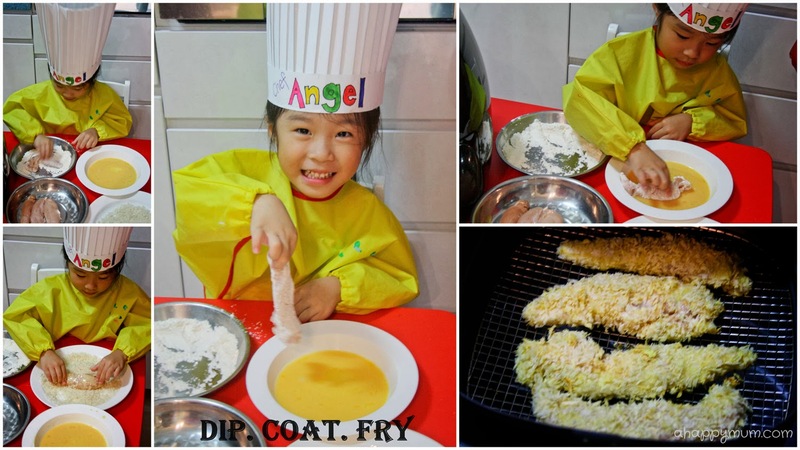 Since french fries were too easy for her, Chef Angel decided to help prepare dinner one evening. 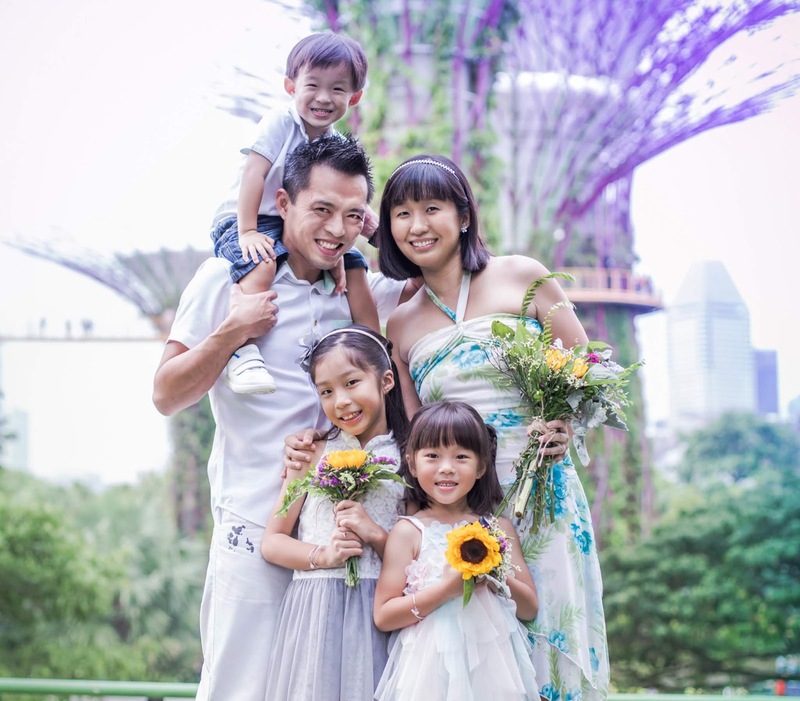 According to Dable Kwan, the founder owner of 'I Love Philips Airfryer' Facebook Community who shares over 50 inspiring and exciting recipes, chicken is the best meat to be cooked by the airfryer. So we decided to let her have a go at cooking Breaded Chicken Fillet, which in my opinion, can never go too wrong. Dip in flour. Dip in egg, mixed with a little soya sauce and milk. Coat with crumbs. Fry at 200°C for 5 minutes, turn, and fry for another 5 minutes. Easy breezy, right? She was so proud that she actually phoned the Dad and said, "Come home quick, I made dinner!" That's not all. 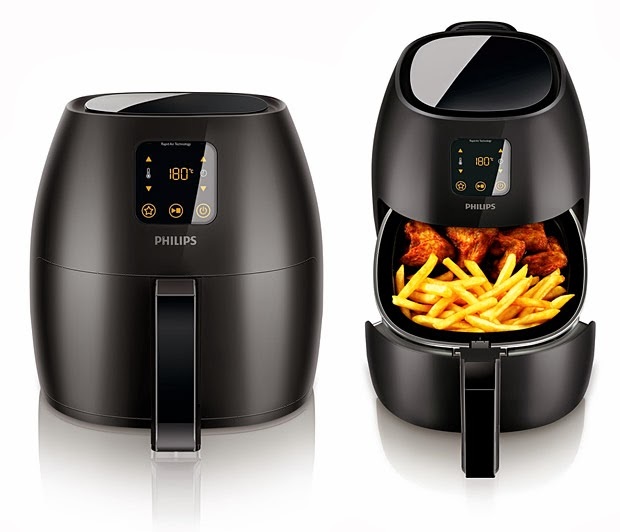 If you think the airfryer can only fry, you are in for a pleasant surprise. It can also grill, roast, gratinate and even bake. 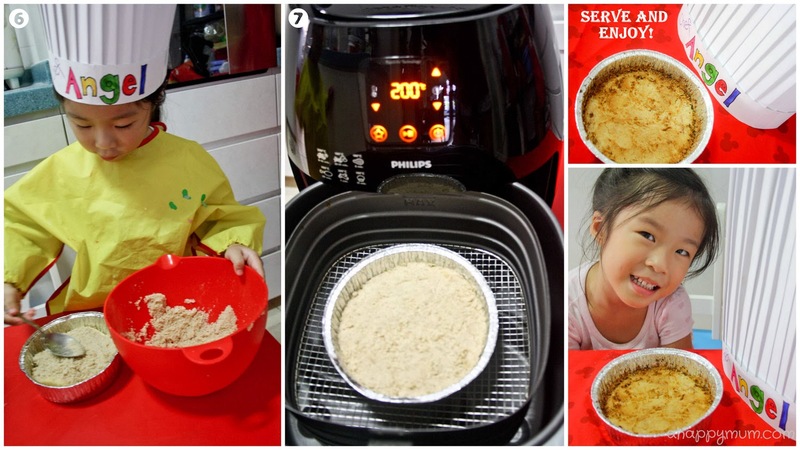 Yes, an airfryer that can help satisfy your sweet tooth. 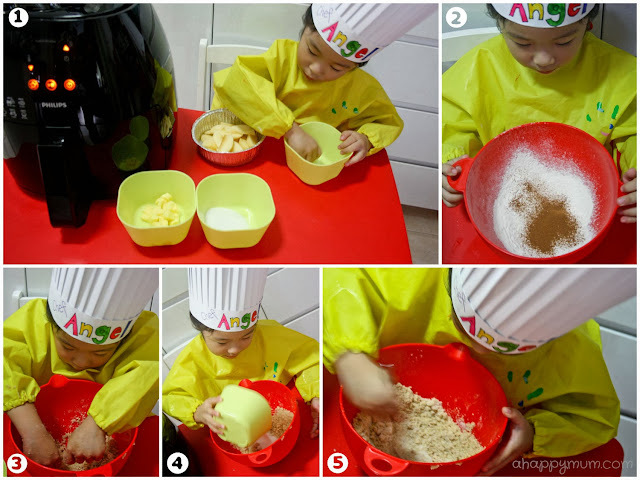 Today, Chef Angel shares with you a simple, healthy and kid-friendly recipe - Apple Crumble. 1. Peel and core the apple. Slice thinly. Arrange in a greased, shallow baking dish. 2. Sift the flour and cinnamon into a mixing bowl. 3. Add butter to mixture. Rub the butter using fingertips into the flour until it is crumbly. 5. Mix well with a spoon. 6. Cover apple slices with the mixture evenly and press lightly with the back of the spoon. 7. Preheat airfryer to 200°C. Bake for 20 minutes until golden brown and cooked through. Top it up with some ice cream and tuck in! Seeing the little chef's contented expression, need I say more? All in all, we are thankful and thrilled to have found a new way to cook our favourite food in a speedy, tasty and healthy way. With air as the new oil, we can't wait to explore more with our magic machine for the upcoming festive season! P.S: If you like to let your kid try cooking too, please exercise caution and don't let him/her get burnt by the hot areas. Other than that, cook, bond, laugh and have fun! What a lovely kitchen assistant you have! 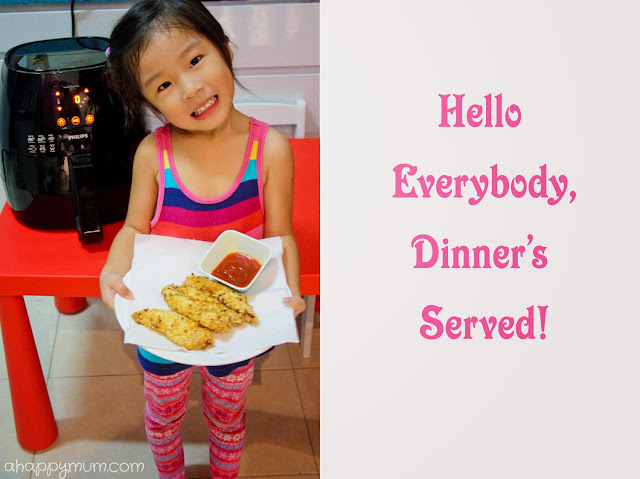 Thank you Chef Angel for sharing these simple recipes with us :) Dana loves to cook too! You have a Junior Master Chef in the making Summer! Thanks for sharing these recipes. Am going to try the apple crumble too. Most welcome, Susan. Muahaha if only she would help me out every single day. Still, I think yes, she did a great job, thanks to the Airfryer which made it simple enough for her to handle. 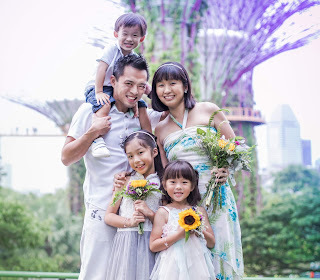 =) Can't wait to read on your apple chips and more! Chef Angel, auntie Adora loves your chef's hat! You are so cute!! I have a daughter 9 years old. She also love cooking. We had an air fryer and we loved it so much. With air fryer,we can easily and quickly cook every dish I like: all fried foods, food warehouses, including sauces. Yes, an air fryer are best for anyone. That’s great.